When I decided to read Louisa May Alcott’s Behind a Mask for Transcendentalist Month, I wasn’t quite sure what to expect. The brief blurb claimed it was so unlike the usual Alcott-fare most people are familiar with — the likes of Little Women, Eight Cousins and An Old-Fashioned Girl. Apparently it was to be dark and mysterious…the kind of material that no one, not knowing Alcott except through her well-known works, would ever have suspected. The story is this. A young woman comes to the Coventrys as a governess, highly recommended by a family friend of theirs. However, she brings with her a mystery, a love affair everyone suspects she had with the elder son of this friend. Being a meek and lovely woman, though, more than half the family grows to love her. But the elder Mr Coventry is not convinced that Jean Muir is an innocent. He is quite sure she has ambitious designs, and we are very speedily assured that Coventry is right. The rest of the novella charters the course of Jean Muir’s plan to captivate the Coventry boys and the rest of the household. Poverty seemed to have set its bond stamp upon her, and life to have had for her more frost than sunshine. But something in the lines of the mouth betrayed strength, and the clear, low voice had a curious mixture of command and entreaty in its varying tones. 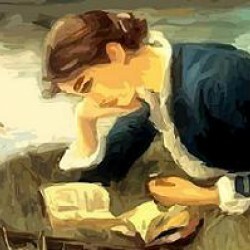 Not an attractive woman, yet not an ordinary one; and, as she sat there with her delicate hands lying in her lap, her head bent, and a bitter look on her thin face, she was more interesting than many a blithe and blooming girl. 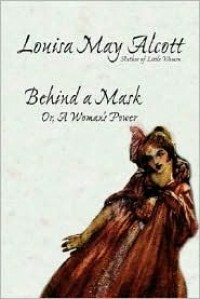 A few paragraphs later we are made privy to the woman behind the mask. Not as young as she appears before the family, dark-haired as opposed to her fair wig, a face puckered with hatred and bitterness in sharp contrast with her mild, meek and gentle appearance — the effect is stunning. Really, I could not help but admire how such a woman could be the pretty governess she makes everyone believe she is. This side of her struck some sense of fear as to how diabolical her plans really were. I can’t say that I was for her throughout the story…neither can I say that I was particularly against her. But, at the end of it all, when I thought about it, I figured Alcott was really trying to say something. That the Victorian woman, for the most part, was only putting on a face to satisfy her patriarchal society. Jean Muir appears to us in the guise of what is expected of a woman…and in her case, not just as a woman, but as one from her lowly station. It is interesting to note how Muir rises in the esteem of her employers when they believe her to be an impoverished woman of genteel birth. I think it also significant that Muir wears a blond wig to cover up her dark hair. This did not convey anything to me besides the fact that fair hair was considered, not only beautiful, but angelic in that society. I was reminded of dark-haired and passionate Jo March, and now here was Jean Muir, a perhaps darker side of Alcott, representing, not just her natural looks, but also the fire within her. I believe Alcott was echoeing something that Wollstonecraft says in A Vindication of the Rights of Woman — that if one does not allow a woman to be educated, she is bound to resort to wiles in order to get her own way, for she is not allowed to do it honestly and openly. Jean Muir is an ambitious young woman, and perhaps it is most natural for her to want to better her situation in life. While courses are open for men to do so, the only way open to the likes of Muir is to capture the interest and attention of a rich son in the household she works for. One cannot, then, blame Muir for the tactics she resorts to. She must live. She fears continual poverty. Society will allow her no other means to grow. So, she chooses to take the course of deceit over dying in poverty. --> to read read the rest of this analysis click on the link.